PART 2: Two former commissioners accuse the agency of “going easy” on the casino. Chief inspector admits he doesn’t get reports from city police or compliance data from state gaming regulators. Above: Shelton Jones is the liquor board’s newly appointed chief inspector. The Baltimore Liquor Board wants – really wants – to inspect the Horseshoe Casino, but things keep getting in the way. So say the board’s newly-installed chief liquor inspector, Shelton Jones, and executive secretary, Michelle Bailey-Hedgepeth. The two officials acknowledge that, nearly six months after the casino opened, the liquor board hasn’t gotten around to conducting a thorough inspection of the only venue in Baltimore that sells alcohol around-the-clock, 365 days a year. The lack of inspections – save for a pre-arranged walkabout with management last December and a response to two 311 calls last month – has opened the board up for criticism. Brian McComas, president of the Federal Hill Hospitality Association who has wrangled with the liquor board over his Crossbar der Biergarten, has said that it’s not unusual for Federal Hill bars to be inspected monthly. 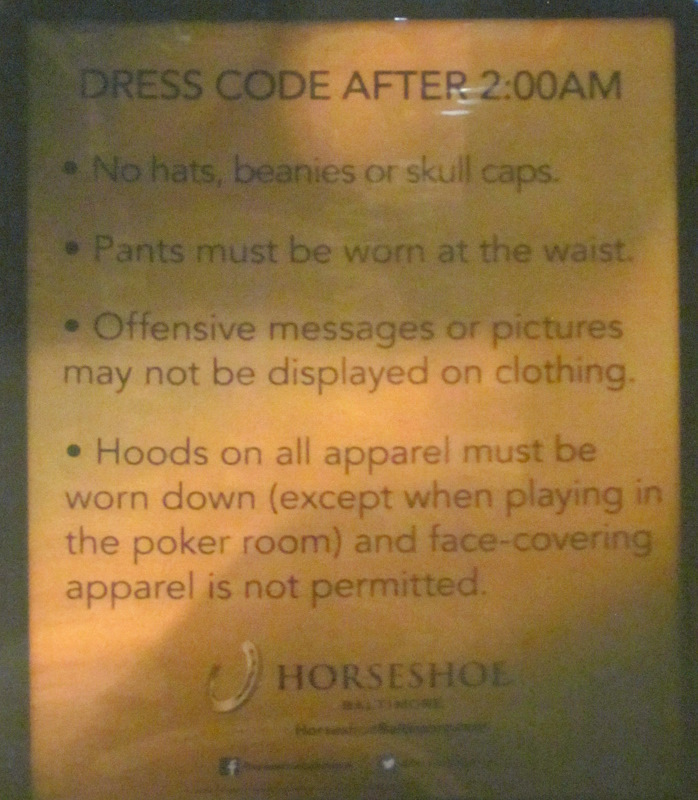 Already smarting over the city’s granting of the only 24-hour license to Horseshoe (which has drained customers from their stools), Federal Hill interests have expressed their anger online and in email, some of it anonymous, circulated to news organizations and state officials. McComas, who owns Ryleigh’s Oyster in Federal Hill and has opened two other Ryleigh’s restaurants in Mount Vernon and Hunt Valley, has been critical of the board after it ruled that a liquor license he wanted to use for the Crossbar project expired years ago. His project is moving ahead with a new license, purchased for $225,000 from a defunct establishment. The license transfer will require Crossbar to come before the board again for approval. Several lawyers for other bar owners have accused the board of unfair treatment and hypocrisy regarding Horseshoe as they plead their cases before the commissioners. One of them is the board’s former chairman, Stephan W. Fogleman, who approved Horseshoe’s 24-hour license in 2013. “We are very comfortable that the structure in every way is suitable for the serving of alcoholic beverages,” Fogleman said at the time (WATCH VIDEO). After 2 a.m., when the Horseshoe becomes the only place in town that serves liquor, a different crowd arrives at the casino. Recently, though, Fogleman has pointedly asked the board in public hearings why an “incredible amount of resources” are being devoted to regulating ma-and-pa bars, while the Horseshoe Casino gets a free pass? Ed Smith Jr., another former board commissioner turned liquor attorney, repeated the same question at last week’s hearing. He asked the board how many inspections of the Horseshoe were made by the police vice squad that had charged his North Avenue client with selling alcohol to an underage police cadet? Thomas Ward, a retired Circuit Court judge who was named Liquor Board chairman last June, ruled that the questions by Fogleman and Smith were irrelevant to the charges against their clients. Becky Lundberg Witt, a Community Law Center attorney who monitors the board for the Booze News blog, says the critics do raise a valid point. The liquor board is supposed to investigate such fights under the law, Witt said. But that does not mean, she added, that the board should “correct” its apparently lax enforcement at Horseshoe by excusing violations by other licensees. Jones said he was unaware of the monthly reports compiled by the Maryland Lottery and Gaming Control Agency (MLGCA) that shows that Horseshoe has evicted four times more intoxicated patrons than Maryland Live – and has been the scene of 25 fights involving more than 60 people between its opening in late August and December 31. “We don’t get any report from the gaming board,” he said, noting that his inspectors depend largely on the police to alert them to fights, arrests and other complaints about city bars. But “for some reason,” Jones said, police incident reports about disturbances at the casino have not been forwarded to his office. 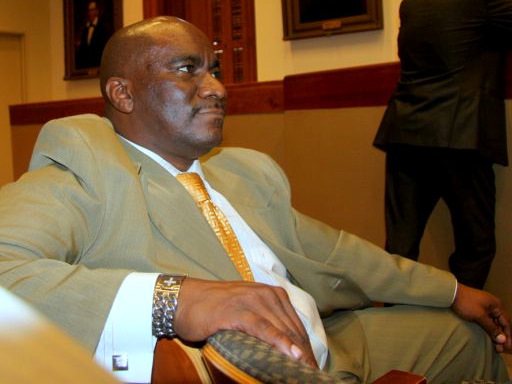 Last week, he said, he met with the police department to arrange for the submission of incident reports in the future. 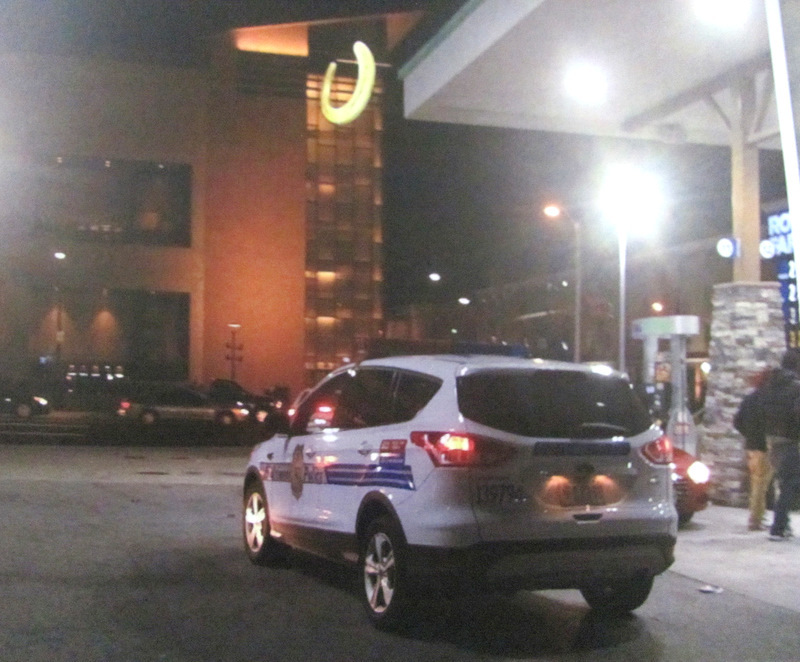 But two incident reports reviewed by The Brew point to a policy in which Horseshoe is evicting rowdy customers from the casino (rather than handing them over to police) or allowing them to “flee” the casino before police arrive. Jones said he fully expects Horseshoe to have “a few problems” because of its late hours, which attract customers from bars that must close by 2 a.m. “If you’re out at 2 or 3 in the morning, all you can do is get into trouble,” Jones observed. Liquor Board secretary Bailey-Hedgepeth said she was aware of Olympic swimmer Michael Phelps’ DUI last September that stemmed from his heavy drinking at the casino. But she said she was reluctant to start an investigation until Jones, a retired police detective, took over as chief inspector in November. At the invitation of Robert Viox, Horseshoe’s food and beverage chief, Jones was taken on a tour of the casino in December. “I did not see any obvious violation at this time. Will have inspectors follow up later,” he noted in his December 15 report. Three inspectors responded, according to agency records, by going to the casino at 9 p.m. where they were met by manager Jason Vermeychuk. And that, she vows, will include the city’s only establishment with a 24-hour liquor license. – Additional reporting by Fern Shen.